Studying psychology may be an ideal preparation for working in the media: publishing and journalism for instance. Stavroula Kousta certainly believes so. She is the Chief Editor of Nature Human Behaviour, a new online journal and source of psychological and wider social science research. Stavroula told us about her journey to a job that plainly excites her and that impacts psychology and society. 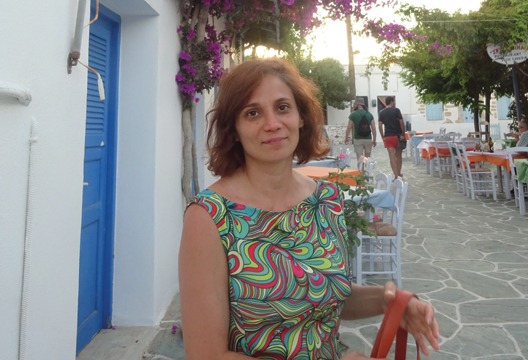 Stavroula applied for an MPhil at Cambridge – a varied degree including psycholinguistics and the psychology of language. She describes her PhD as coming to her. ‘As I was finishing my MPhil, I was offered a scholarship to stay on at Cambridge and do a PhD in psycholinguistics. I had become fascinated by our ability for seamless communication, even though most of what we say is ambiguous. It’s so often unclear what we’re referring to with the words we use.’ This might sound like a rather theoretical topic but Stavroula ‘did psychological experiments on how people perceive and resolve ambiguity in language without even being conscious of it’. A postdoctoral research fellowship at the Department of Psychology, University College London, allowed Stavroula to expand her interests. She is very complimentary about the diversity and cross-disciplinary cooperation she experienced there. ‘The boundaries were very fluid and it was a lively place to work. I got interested in neuroscience, something which informed my later interests in biology and the natural sciences.’ Perhaps this experience prepared her for her editorial jobs, where she looks at research from many disciplines. Stavroula’s comment provides an excellent definition of the role of a scientific editor. She saw such a role – the editor of Trends in Cognitive Sciences – advertised, ‘and I’ve never worked harder than I did on the application for that job. Once I’d got it I realised I’d found my niche. Academic life requires singular focus and the patience to spend a lot of time chasing research funding. In editorial work, I love having to look at the big picture, asking how a piece of knowledge fits into the grand scheme of things. I learn something new every day and get paid for it! Plus, the job comes with tangible rewards – a brand new issue every month and the satisfaction that we have helped scientists communicate their research.